The Tafluprost/Timolol Fixed Combination (TTFC) has demonstrated efficacy and safety in reducing Intraocular Pressure (IOP). However, direct comparisons of switching from tafluprost to TTFC are limited. 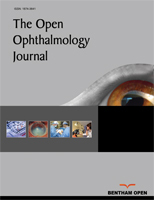 To investigate the efficacy and safety of switching from tafluprost to TTFC in patients with Primary Open-Angle Glaucoma (POAG). Thirty-four eyes (34 patients) with POAG that did not achieve adequate IOP reduction on tafluprost were switched to TTFC with no washout period. IOP, systolic/diastolic blood pressure and pulse rate were measured 1 and 3 months later and compared with baseline values. All participants were asked about specific adverse reactions after 1 and 3 months of treatment. Patients also completed a questionnaire about preference and adherence after 1 month of treatment. Mean IOP after 1 and 3 months was significantly lower than at baseline (14.2 ± 2.1 mmHg and 14.1 ± 2.3 mmHg, respectively, vs 16.0 ± 2.0 mmHg, P < 0.0001). Systolic/diastolic blood pressure and pulse rate were not significantly different from baseline after 1 and 3 months. The questionnaire indicated that the frequency of missing a dose was not different before (27.3%) or after (18.2%) switching to TTFC (P = 0.2371). There were five reports of adverse reactions (14.7%), including a corneal epithelium disorder, ocular irritation, skin irritation at the wrist, and chest pain. Two patients (5.9%) withdrew because of adverse reactions. Switching from tafluprost to TTFC achieved IOP control safely and was well accepted by patients. Keywords: Tafluprost, Tafluprost/timolol fixed combination, Primary open-angle glaucoma, Intraocular pressure, Safety, Efficacy. © 2018 Inoue et al.